Within Franklin County, the primary mosquito borne disease that we find year after year is West Nile virus. We detect virus in mosquitoes every year, but recently, the number of human cases has been few. 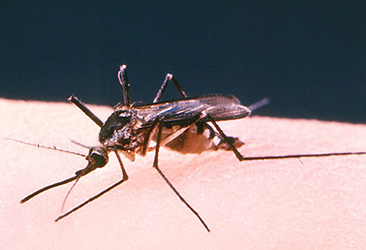 A less frequently reported mosquito borne disease is La Crosse encephalitis. Diseases such as Zika, Chikungunya, Dengue, Malaria, and Yellow Fever are not found in Ohio, but travelers can return to Franklin County after contracting the disease while visiting areas where infected mosquitoes are found, such as the Caribbean, Central America, South America, Africa and Asia. FCPH sets over 100 mosquito traps each week to look for the mosquito species that carry any of the diseases mentioned above. 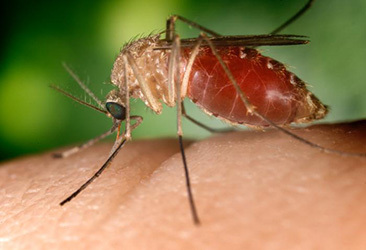 West Nile virus is a disease transmitted to people from the bite of an infected mosquito. It has been commonly found in humans, birds and other animals in Africa, Europe, Western Asia and the Middle East. The virus attacks the central nervous system causing symptoms ranging from fever and headaches to encephalitis which can be fatal. For most people the risk of catching West Nile virus is low. People over 50 and those with compromised immune systems are the most likely to display symptoms. The most human cases reported in Ohio were 441 in 2002. To see the current number of human cases in Ohio, visit the Ohio Department of Health's web site. Franklin County Public Health’s mosquito management program sets approximately 50 gravid mosquito traps each week from mid-May to the end of September throughout the county. We trap, collect, count, identify and test mosquitoes for the presence of WNV. This allows us to determine disease risk and take appropriate control measures to prevent human disease (Link to our trap numbers page). La Crosse encephalitis is a viral disease spread by infected mosquitoes. It is native to the upper Midwest and Appalachia, and was first diagnosed in La Crosse, Wisconsin in 1963. The virus can cause symptoms including fever, headache, nausea, fatigue, and vomiting. More severe effects usually occur in children and can include seizures, coma, paralysis, and permanent brain damage. These symptoms typically occur 5 to 15 days after being bitten. Children under sixteen and those with compromised immune systems are at the greatest risk. There is no vaccine available and treatment focuses on alleviating symptoms. Since 2000 there have been 294 human cases of La Crosse encephalitis reported in Ohio. In the United States, the leading cause of epidemic mosquito-borne encephalitis is St. Louis encephalitis. According to the Centers for Disease Control, less than 1% of SLE viral infections are clinically apparent and the vast majority of infections remain undiagnosed. Illness varies in severity from a mild headache to inflammation of the tissue surrounding the brain and spinal cord.